Week 3 – All about sleep! Peanut – Mom Dating app! Holistic Moms Network – Carrie’s favorite in-person mom group that was helpful as new mom! Listen below or subscribe in iTunes, Stitcher, Google Play or Spotify! That it is nothing like you expect it to be. That it is a constantly changing experience and one that you can have multiple feelings about all at the same time. For instance you can love your child and be so mad them all at the same time. Also, that it requires more patience then you ever thought was humanly possible. Always wondering if what my child is experiencing is normal or if there is something more I should be doing to help them with a challenge or frustration or are these normal parts of growing up that I should be letting them work through and learn from. Watching them learn and use their knowledge out in the world, particularly when I am not around and I hear about them problem solving something that we have worked on together and then they are now doing independently. Of course, it is great when they come back and tell me but even better when I hear from another parent or a teacher that my child was kind or respectful for polite in a way that maybe they aren’t always at home but at least they know what is right. Linda Szmulewitz is a Licensed Clinical Social Worker and a certified Gentle Sleep Coach. 7 years ago, she developed an educational and supportive program for first time moms of babies 0-6 months old called The Chicago New Moms Group. 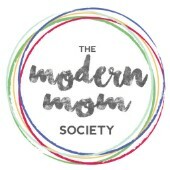 The group offers 6 week sessions that provide new moms with an opportunity to come together in a non judgmental and nurturing environment to both connect with others in similar circumstances and to find answers to many new parenting questions. In additional to developing and running The Chicago New Moms Group, Linda works as a sleep consultant for children ages 0-6 years old to help their improve family functioning by empowering parents to help their children learn the life long skill of sleep. Through a process that involves a comprehensive assessment and consultation and the development of a plan, parents are given the tools to help their children learn how to sleep at all stages and in a variety of circumstances. By starting where the family is and working through each family's individual goals, parents are able to successfully teach their children this essential skill.